What’s that in the Window? Janesville, Minnesota is a fine example of small town America. With a population of just over 2,000 people, it’s the kind of community you drive through at an easy pace—or pass by at a distance. Today, Highway 14 sidesteps Main Street Janesville entirely. Still, until a few years ago, curiosity seekers followed the old Highway 14 route to 1st Street in search of a peculiar local mystery. Their destination? 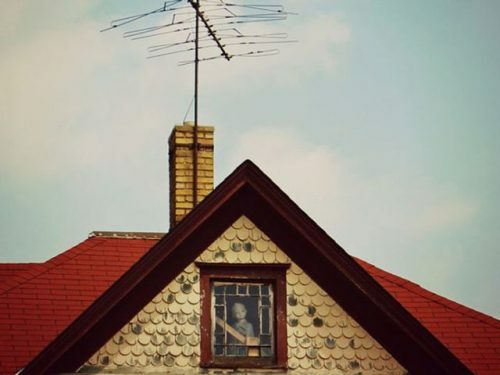 An unassuming house with an eerie figurine framed in the attic window, its blank stare peering out of the glass. It was known as the Janesville Doll. What was the secret of the Janesville Doll? Who put him there, and why? Dozens of explanations cropped up over the years—some more fanciful than others. Eventually, the small-town mystery transformed into a full-blown urban legend. The story of the doll centers on the house’s owner and the death of the owner’s young daughter. Her demise changed depending on which account you heard; in some versions she succumbed to illness or a tragic accident, while in others her end was far grislier. In one dark tale, the girl was abused and neglected by her family. Neighbors feared her; she soon became a prisoner of her attic room. There she would sit and stare out the attic window as the world passed by without her. Overwhelmed with sorrow, the girl hanged herself. Her parents, realizing what they had done, placed the doll in the attic window as a memorial. Soon there after, the Janesville Doll allegedly sprung to life. 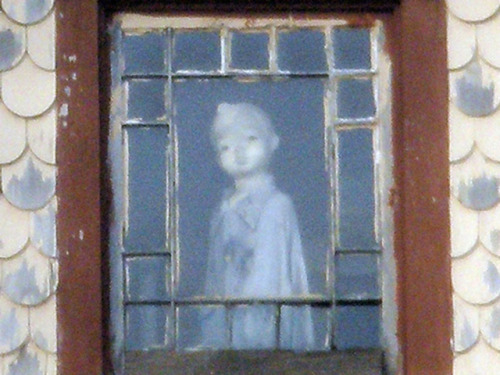 Visitors claimed to see that the doll sometimes changed position, or that its placid expression transformed into anger, glaring at onlookers from behind the glass. Such claims help explain a demonic twist to the Janesville Doll legend. This version also centers on the demise of a little girl in the house, but maintains that it was the result of demonic possession. The child died during an exorcism, and it was the demon itself that entered the doll—threatening to possess anyone who dared gaze into the doll’s eyes for too long. As for the facts of the Janesville Doll case, they too remain shrouded in mystery. The home that housed the doll once belonged to man named Ward Wendt. Wendt was born in the house, and lived there until old age. He was reportedly a collector of antiques and train memorabilia. He placed the doll in the window sometime in 1976, never telling a soul why he did it. 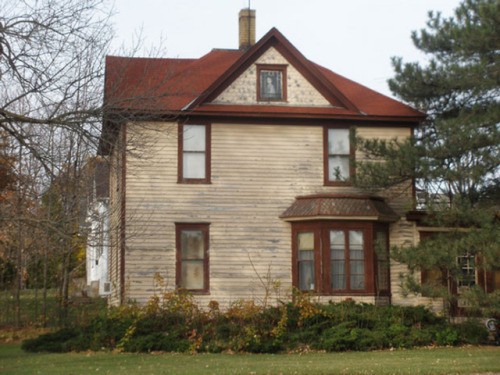 According to Wendt, the house had belonged to his family since Janesville was founded, and nothing “exciting” had ever happened on the property. There appears to be no record of suspicious deaths or mysterious events associated with the house to give credence to the many tales surrounding the doll. In 2012, at the age of 84, Ward Wendt passed away, taking the secret of the Janesville Doll to his grave. Or maybe not. One final tale about the doll might hold the key to the mystery. The same year the doll first appeared in the window of Wendt’s home, Janesville buried a time capsule in a nearby park in honor of the United States Bicentennial. In that time capsule, Wendt is said to have placed a note in which he reveals his reasons for putting the doll in the window. The only catch? The time capsule is not scheduled to be unearthed until 2176. After Wendt’s death, the Janesville Doll was moved from the attic window to a special showcase in the Janesville Library. A Facebook account and MySpace page have since cropped up in honor of the legendary figurine. Whether it continues to inspire strange stories and paranormal reports among the library stacks, only time will tell. Posted in My Haunted Salem and tagged Real Poltergeist Facts 'Real Ghost Pictures' Supernatural Noices 'Real Ghost Stories' Paranormal encounter by cnkguy with no comments yet.